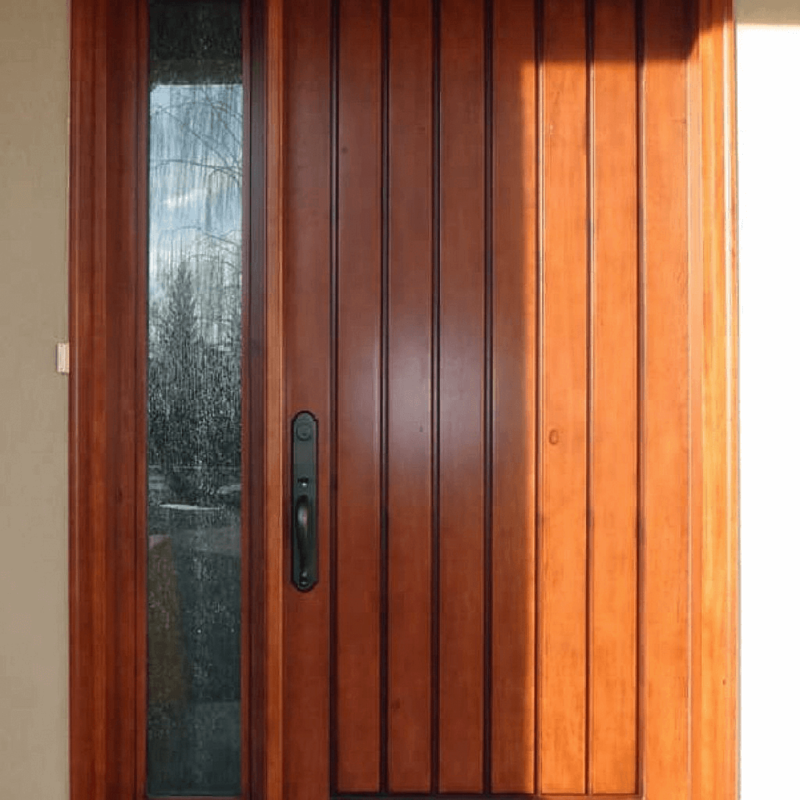 The doors of your home, be they the front, back, patio or garden door, are the connection between inside your home and the outdoor world. 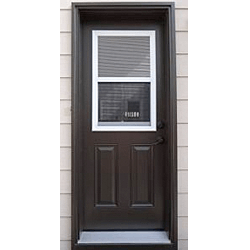 At Simply Yours we know that this means you want replacement doors that are sturdy and safe, protects against the elements and provides a pleasant transition into or out of your home. 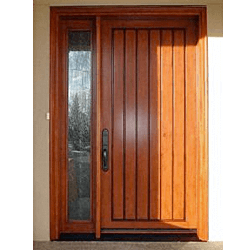 We feature wood, fibreglass and steel exterior doors. 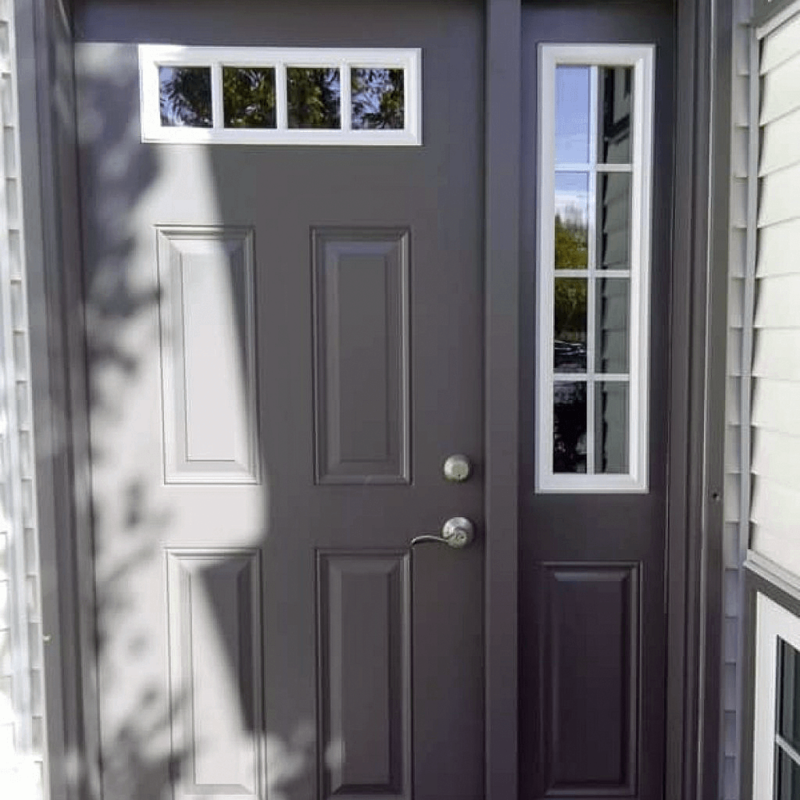 Browse this page for an introduction to some the doors we've installed on homes. 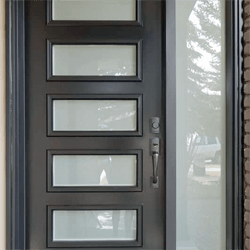 Every detail of the doors that Simply Yours Windows Doors supplies and installs is chosen by the homeowner, and made for them. 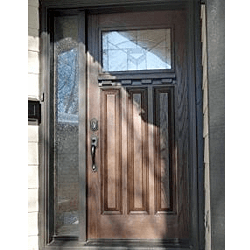 There is a wide variety of styles and options to choose from including smooth fibreglass, wood grain fibreglass, decorative glass, plain glass, or no glass. 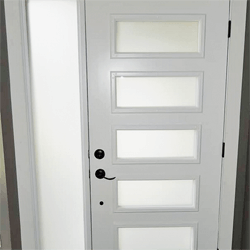 To put your final personal touch on your door, we can get them professionally painted or stained in any colour you choose. 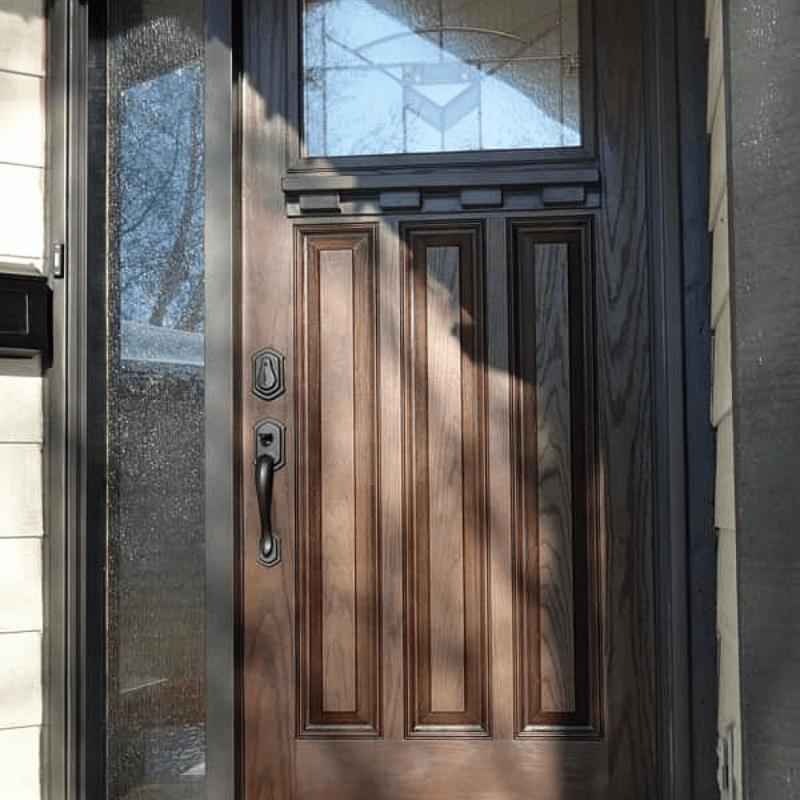 Our team will guide you on designing your front door masterpiece that will keep your home secure and warm. 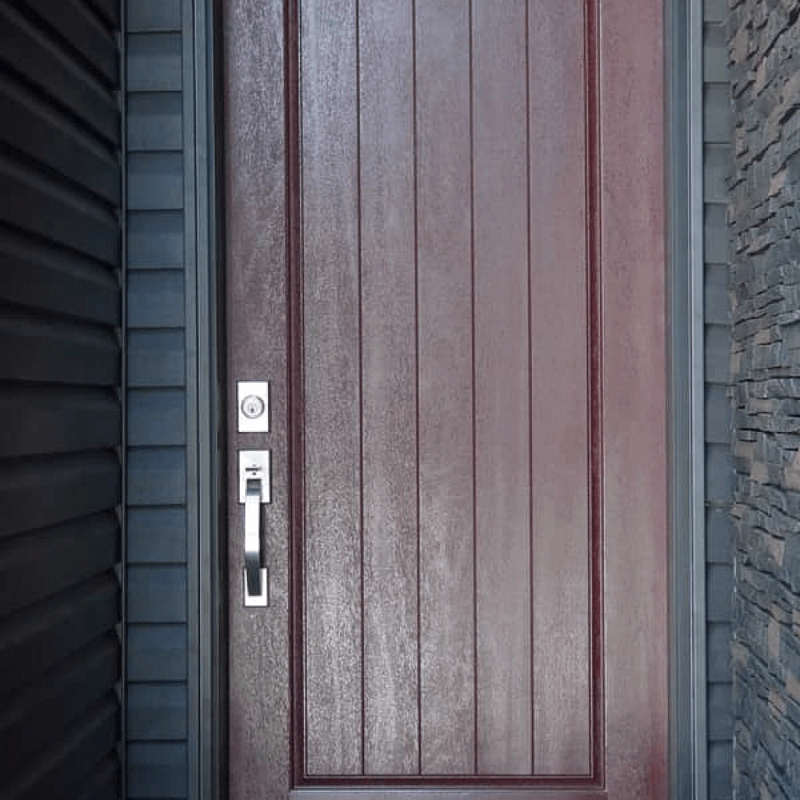 No matter what doors you choose, our expert installers will install each one properly to code with care, and will leave your home clean and ready to use. 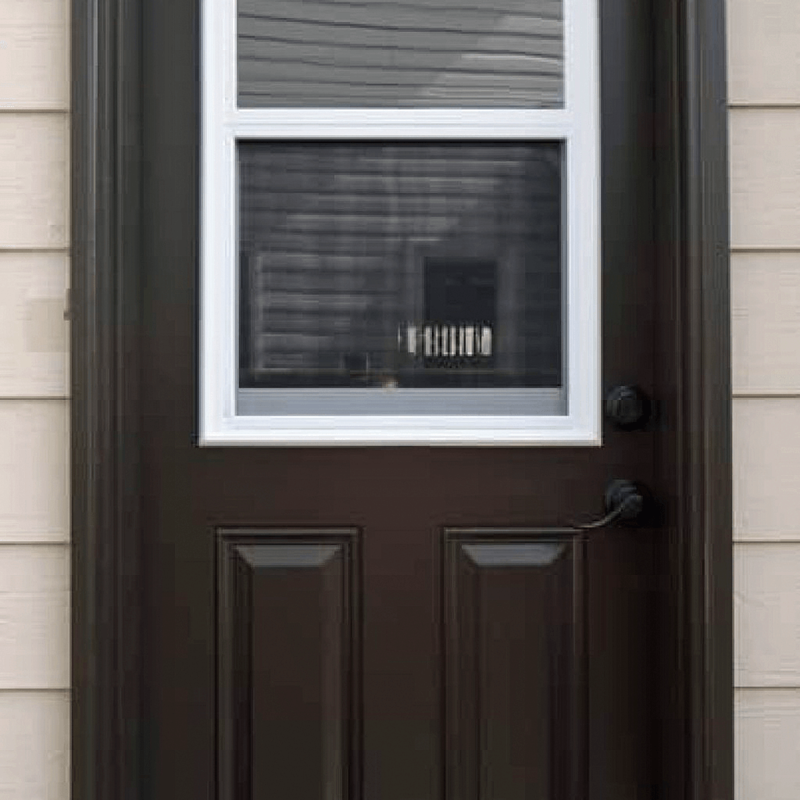 Black Fibreglassexterior 5 lite door with a sidelite, obscure glass. Professionally painted. 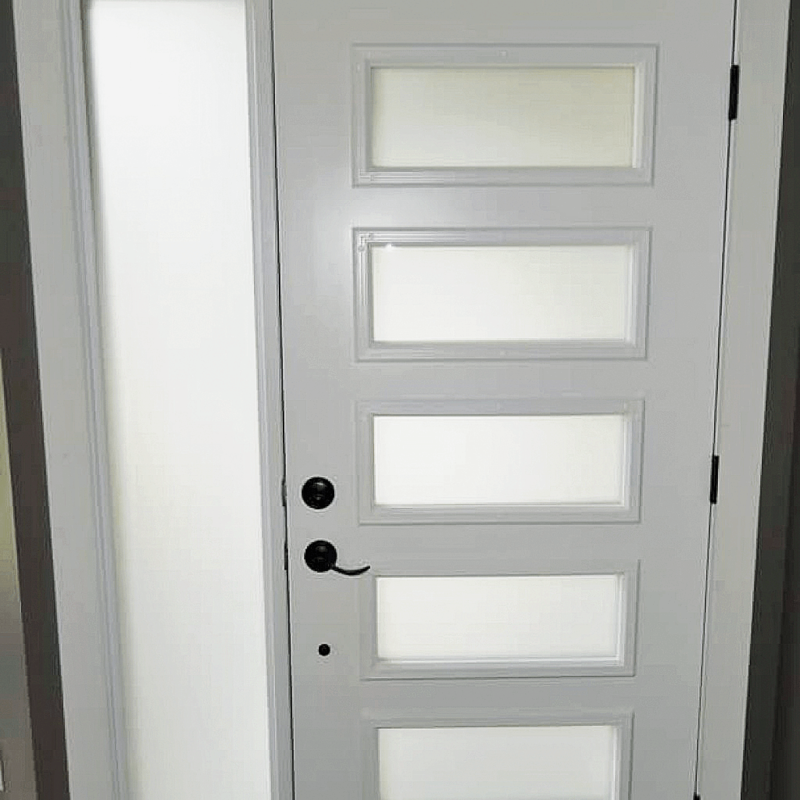 White Fibreglass 5 lite exterior door with a sidelite, obscure glass. Professionally painted. 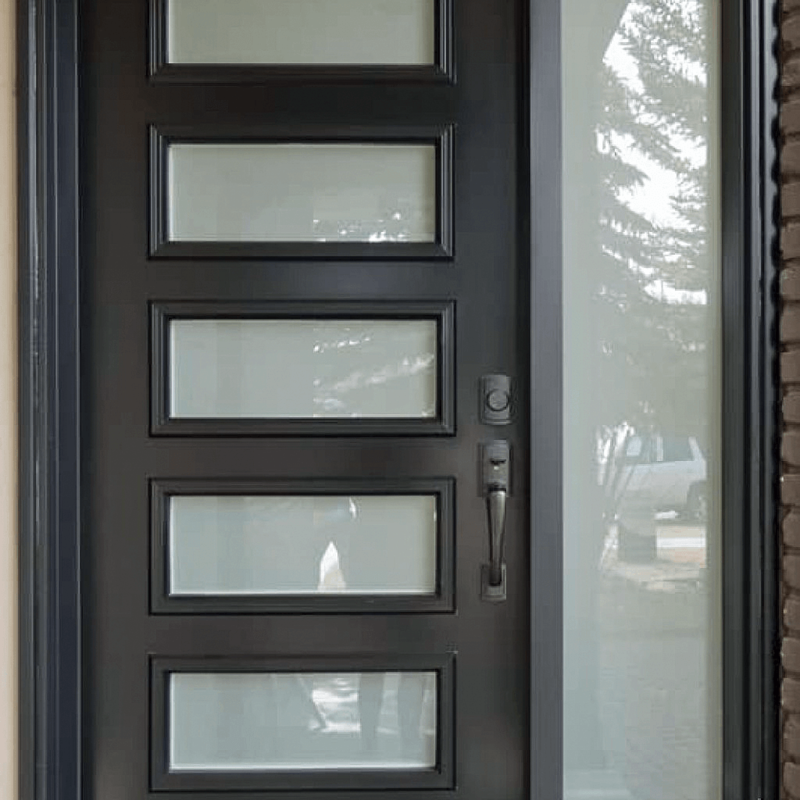 Windswept SmokeFibreglass exterior door with sidelite and grilled glass. 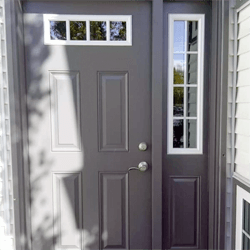 Professionally painted. 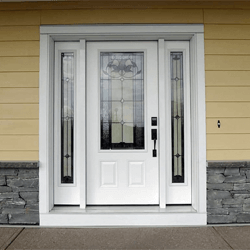 Custom Fibreglass Doorand Sidelite. Professional stained in factory. 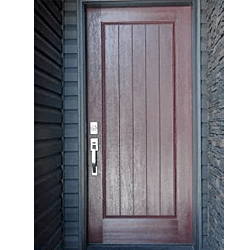 Mahogany Planked Fibreglass DoorProfessionally painted. 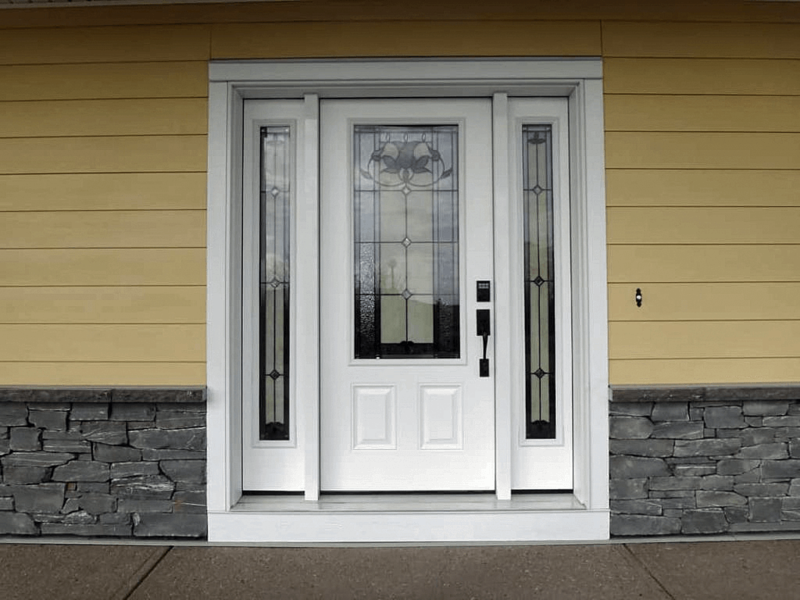 Craftsman Style Fibreglass Door with SideliteProfessionally painted.